Last year, news of North Carolina football players being ruled ineligible or kicked off the team was fairly routine, but this season has been far quieter…until now. Interim coach Everett Withers says the senior was dismissed for "conduct detrimental to the team," though he wouldn't elaborate further during his weekly news conference Monday. Okakpu started five games this year and had 14 tackles. Withers says Okakpu will remain on scholarship and has a chance to graduate this spring. Sophomore Darius Lipford is listed atop the depth chart in Okakpu's place for the Tar Heels (5-2, 1-2), who travel to eighth-ranked Clemson this weekend. 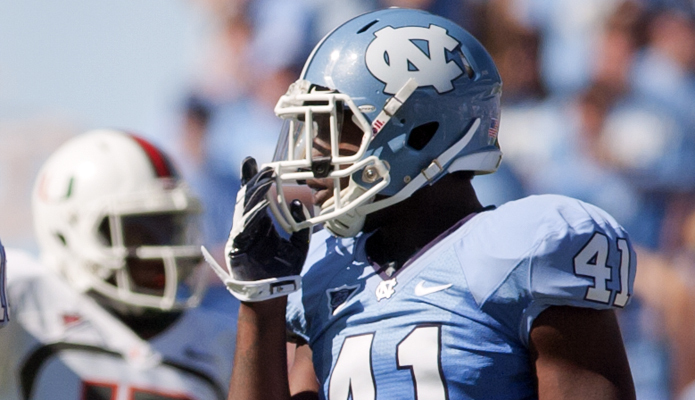 Withers says the Tar Heels might use multiple players to replace Okakpu, saying the team has built depth at the position.